The Democratic Alliance (DA) has run out of options after its failure to lead multiparty coalition governments in various metropolitan councils. Following the ouster of Athol Trollip as mayor of Nelson Mandela Bay, and the threat of a similar fate in Pretoria, the party signalled on Wednesday that it has abandoned all hope of negotiation with coalition partners like the Economic Freedom Fighters (EFF) and the United Democratic Movement (UDM), made an appeal to the public for support. UPDATE: Solly Msimanga remained the mayor of Tshwane after an ANC and EFF motion of no confidence failied. 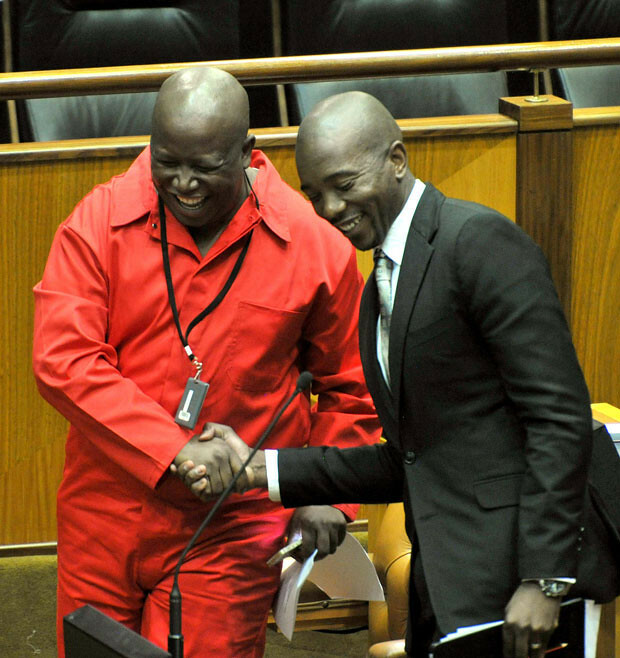 The EFF’s motion was dismissed after the Speaker of the Council ruled that they did not comply with the rules. After the EFF said they would not be supporting the ANC’s motion, the council resat. However, due to the person had tabled the ANC motion not being in chambers, the motion did not take place. After a special sitting of the Democratic Alliance Federal Executive, DA leader Mmusi Maimane joined by party leaders in the Gauteng province, addressed the media. The special sitting of the FedEx was to decide on a way forward for as well as considering the past two years of DA-led rules in the Johannesburg, Tshwane and Nelson Mandela Bay metros. Maimane said along with their coalition partners the African Democratic Christian Party (ACDP), Congress of the People (COPE), Freedom Front Plus (VF+), Inkatha Freedom Party (IFP) and the United Democratic Movement (UDM), the party has worked towards cleaning up the former African National Congress (ANC)-led metros. â€œI want to commend these DA-led coalition governments on this outstanding work, which has resulted in freeing up more public money to spend on delivering services to all,â€ remarked Maimane on the progress the party has made. Maimane said from the meeting the FedEx have come to the following conclusions: they have recommitted to the formal coalition agreements signed by all partners in August 2016. He said those agreements are open to any political parties who are committed to non-racialism, constitutionalism and the rule of law. â€œHowever, in light of the UDMâ€™s joining of the coalition of corruption in NMB, FedEx has resolved to formally approach coalition partners to review the inclusion of the UDM in this formal agreement,â€ said Maimane. This came after the UDM supported the ANC and the EFF in the removal of PE mayor, Athol Trollip. 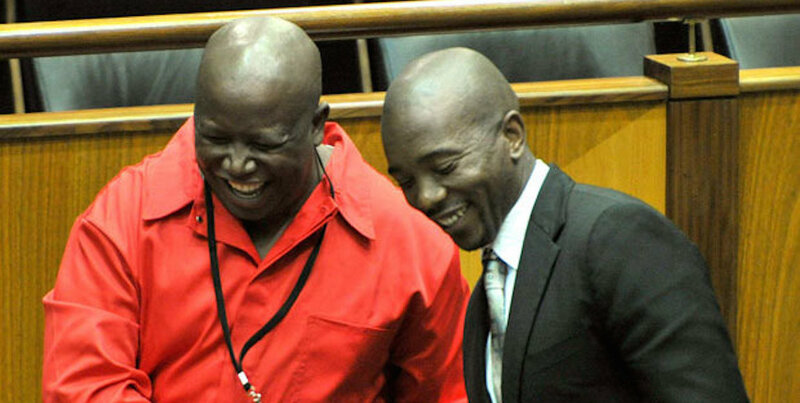 The EFF hold significant power in coalition governments as they play the role of kingmaker.Â Although EFF leader Julius Malema initially voted in favour of the DA-led coalition, Malema was clear that the party would not rule out a coalition with the opposition – whoever the opposition to the ruling party turned out to be. The EFF are still kingmakers in the metros – due to the fact that neither the DA nor the ANC managed to get a winning majority in any metro in the 2016 local government elections. The party who governs the metros will be the party the EFF decides to back. The DA says if the EFF decides to formalise a coalition with the ANC, this will mean they are showing their true colours and aiding and abetting corruption. â€œIf the EFF decides to formalise its coalition of corruption with the ANC tomorrow and supports their Motion of No Confidence in the DA-led coalition government in Tshwane, then they have showed their true colours as being nothing more than the military wing of the ANC â€“ aiding and abetting corruption and looting,â€ Maimane said. In the presser, Maimane failed to acknowledge the ACDP and COPE contribution to successfully running the Nelson Mandela Bay metro. The DA again showed their arrogance when their leader Mmusi Maimane failed to acknowledge the ACDP & COPEâ€™s immense contribution in the successful running of the #NMBCouncil. Would Athol Trollip have been a Mayor without us ? Never forget to say thank you to those who helped you. In a surprising turn of events this week, Nelson Mandela Bay metro mayor Athol Trollip and speaker Jonathan Lawack were voted out in a motion of no confidence. Tshwane mayor Solly Msimanga also faces a motion on no confidence this week. The party has pledged their support behind both Trollip and Msimanga. On Thursday, the Eastern Cape High Court will be considering an application to overturn the removal of Trollip on the basis that the decision in invalid and has no effect in law. The DA will be picketing outside the Tshwane council in support of Msimanga and the DA-led coalition in the capital city.